Roxanne Watson, Founder of both Living Water Rejuvenation Centers and Cal. Coastal Cleansing Institute has been a professional Colon Hydro-therapist since 1985. 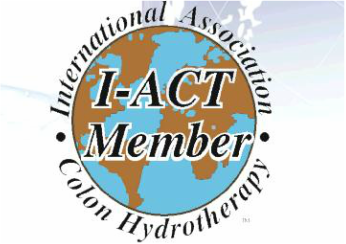 A second generation Colon Hydro-therapist, she holds seven certifications including the National Board Certification, I-ACT (International Association of Colon Hydro-therapy) Ambassador Certification, and the I-ACT instructor certifications, signifying the highest levels of competence. Roxanne’s philosophy is that the body’s ability to heal is intimately connected to the body’s ability to cleanse and detoxify–and that Colon Hydro-therapy is the most effective way to achieve this goal. Roxanne Has added The Libbe Colon Hydro therapy Equipment to her office and completed newest Training as a LIBBE Certified therapist. She is also completing her training as a Wholistic Rejuvenist. Roxanne has studied holistic health intensively, including proper supplementation, herbology, homeopathy, blood analysis, fasting, and detoxification programs from around the world. She is deeply passionate about educating herself with health and nutrition in order to better support her clients with obtaining optimal health. Roxanne believes in taking an integrative approach to health care, meaning creating a peaceful coexistence between current medical treatments and alternative, or complementary ones, such as Colon Hydro-therapy. Roxanne is passionate about teaching and has been an I-ACT, award-winning instructor of Colon Hydro-therapy for many years. Since starting teaching as an instructor in 1996, Roxanne has personally trained hundreds of successful therapists whom now work all over the country. Dana is an Advance Level I-ACT Certified Colon-Hydro Therapist 9 years experience Clinical Nutritionist,Lymph massage Tech, Swedish Massage Tech.Sports nutrition. Certification by American Institute Natural Health And Cal. Coastal Cleansing Institute. 13+ years experience, Manager for 5 years with Living water. Dana also specializes natural food based nutrition and lymphatic therapeutic massage techniques. She began a lifestyle of fasting and cleansing, organic gardening and practicing a vegetarian diet at the age of 14. Dana enjoys working alongside doctors who consider the body, mind and spirit as a whole entity plant based diet programs.